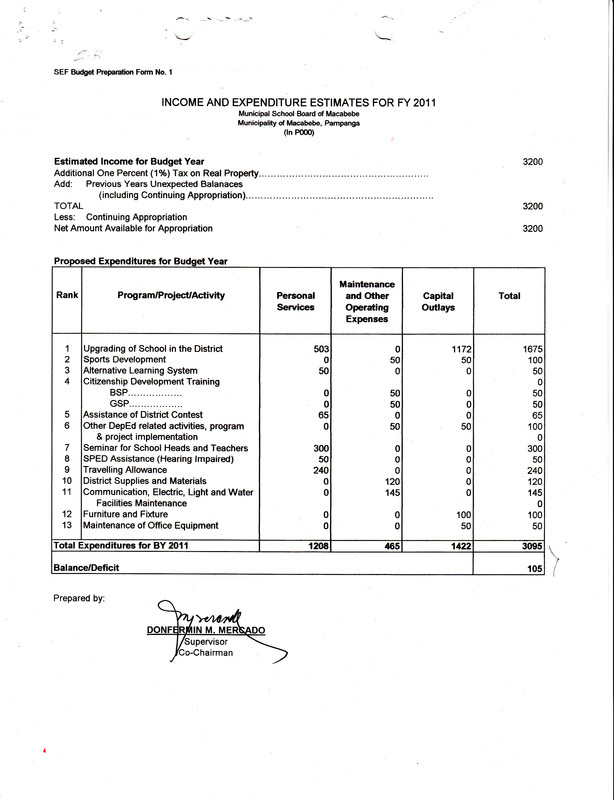 Appropriation Ordinance No. 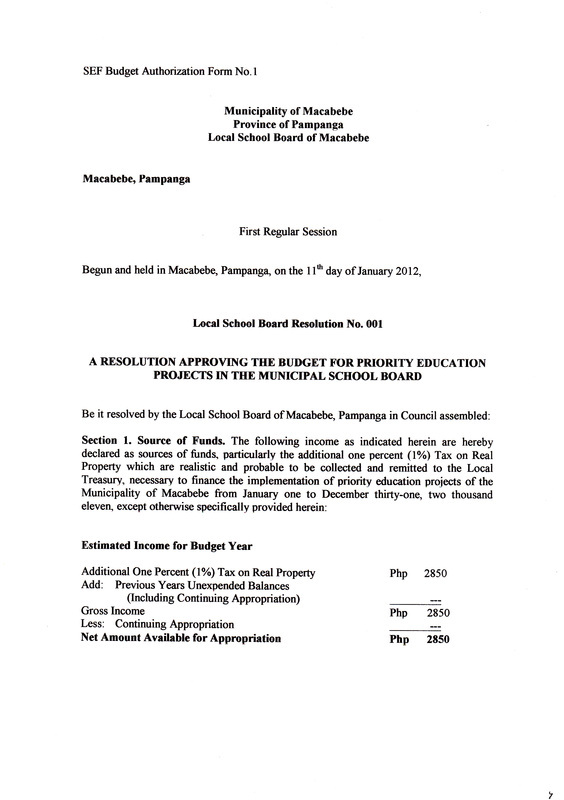 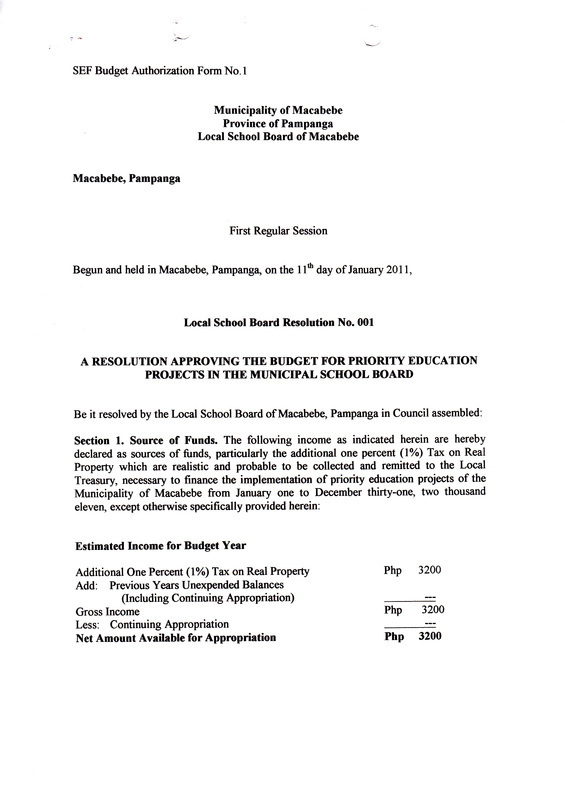 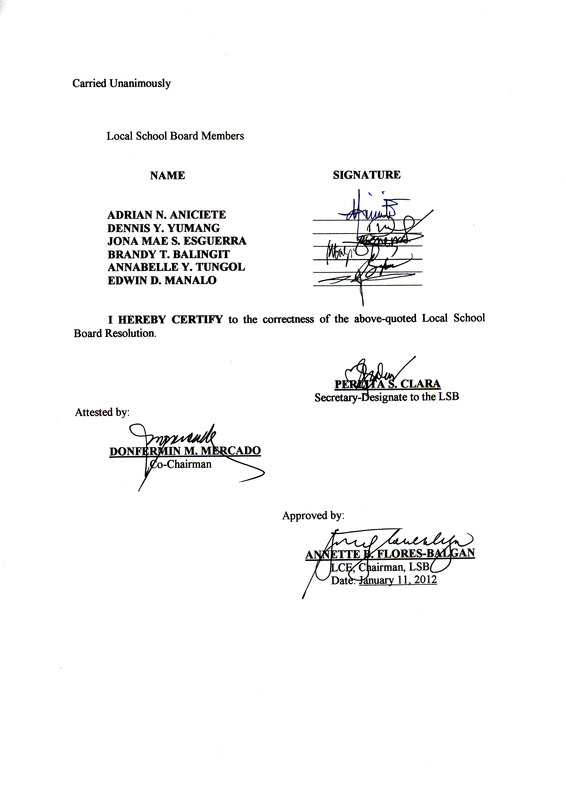 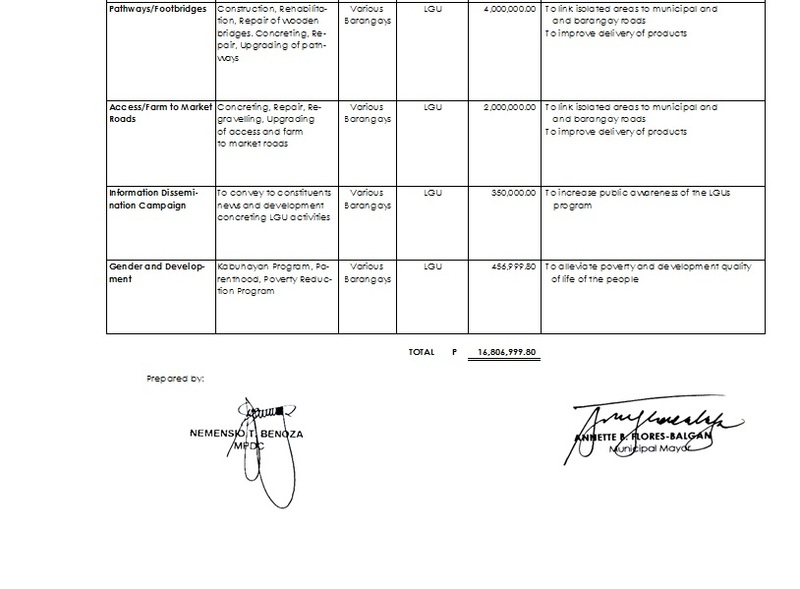 3, s. of 2011, re: An ordinance authorizing the Annual General Fund Budget and Market Enterprise of the Municipality of Macabebe for Fiscal Year 2012 in the total amount of P94,415,581.20 and P4,197,068.04, respectively, covering the various expenditures for the operation of the Municipal Government for Fiscal Year 2012, and appropriating the necessary funds for the purpose. 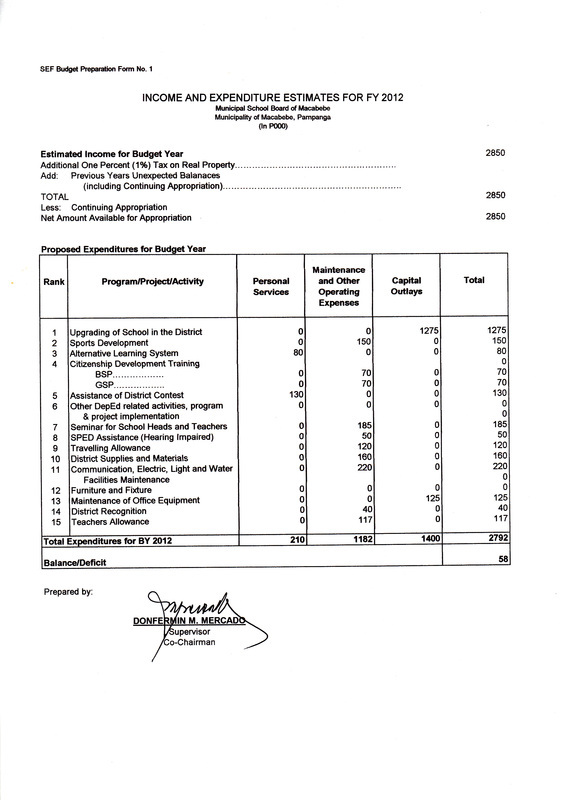 Download soft copy Appropriation Ord. 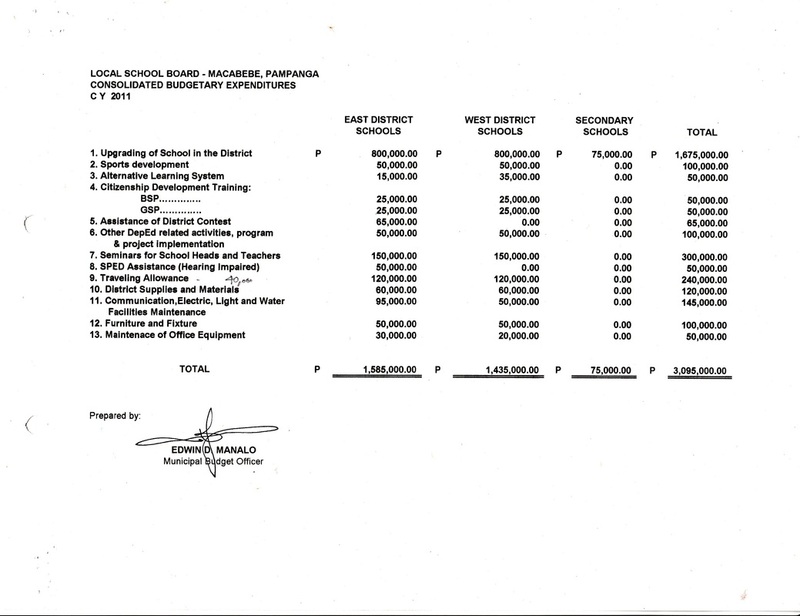 3, s 2011 here. 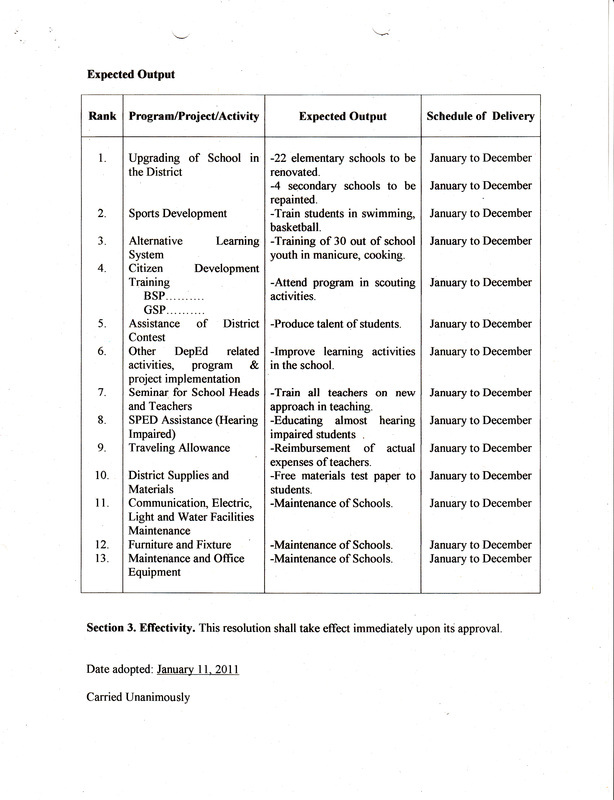 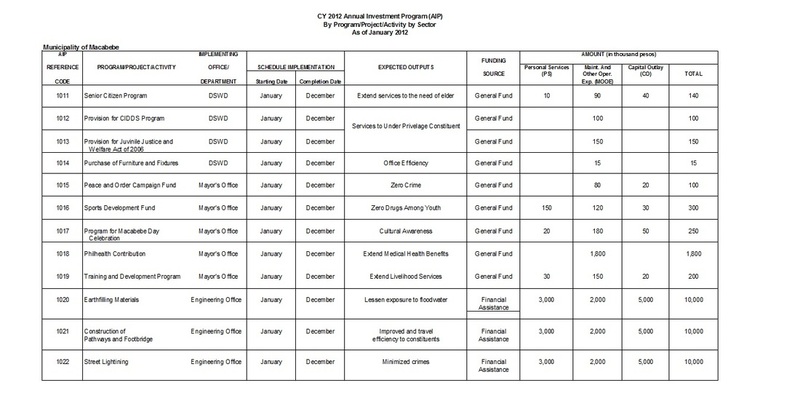 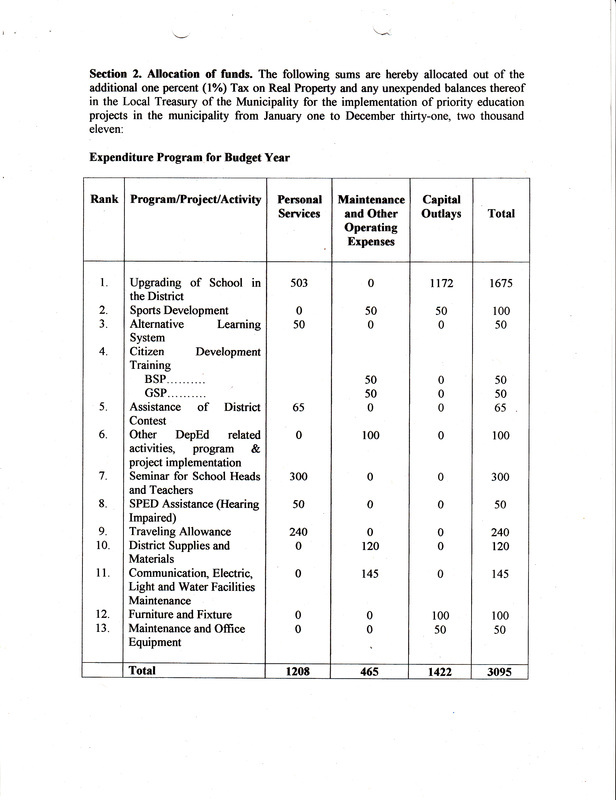 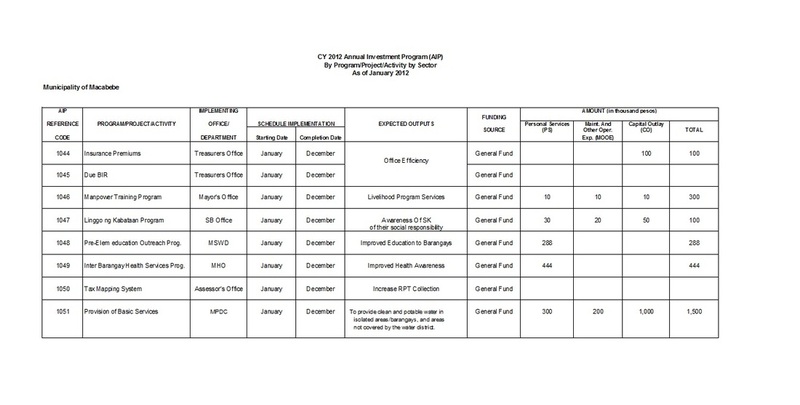 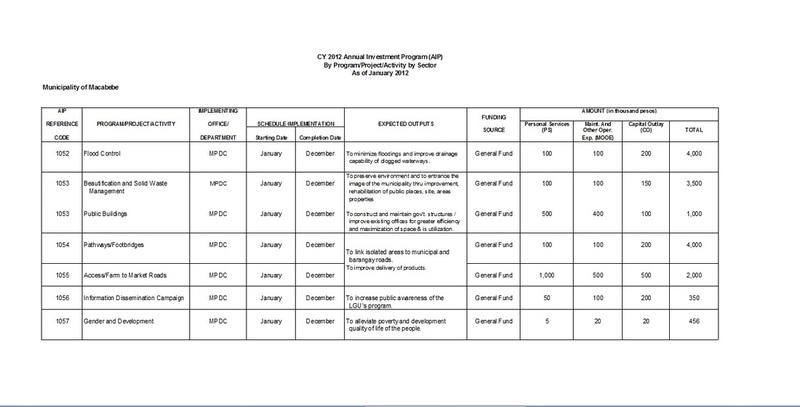 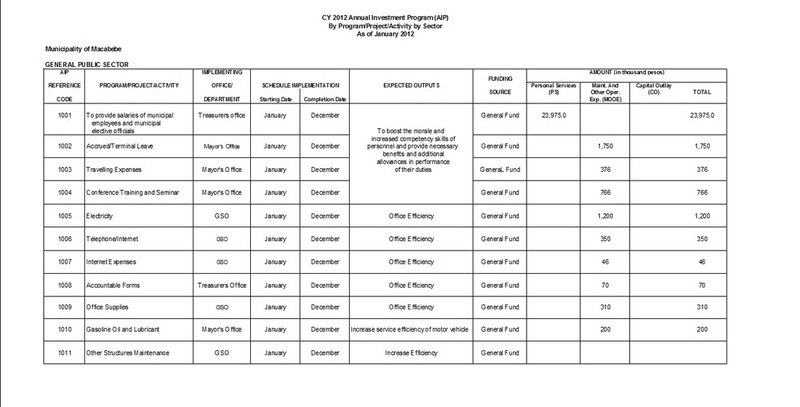 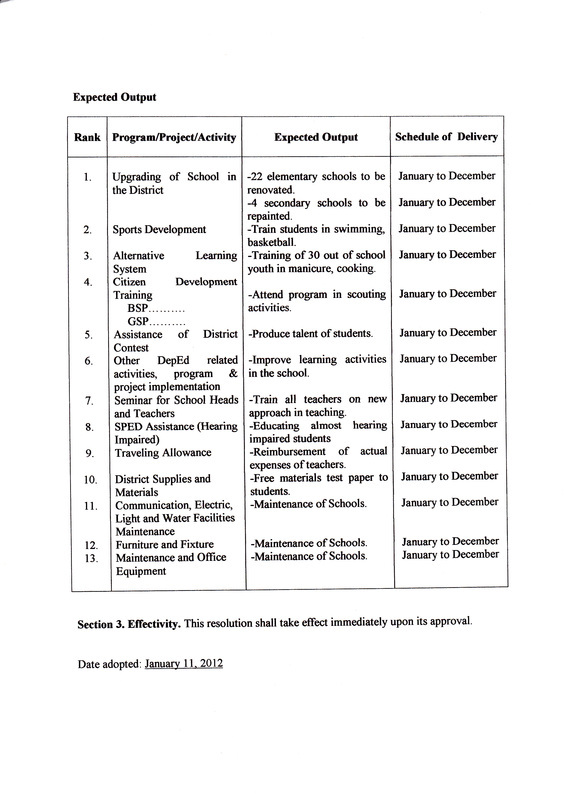 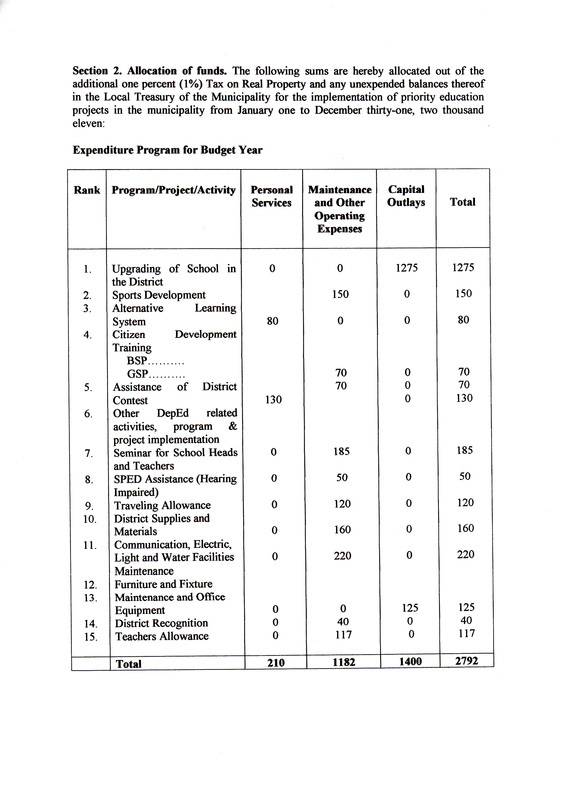 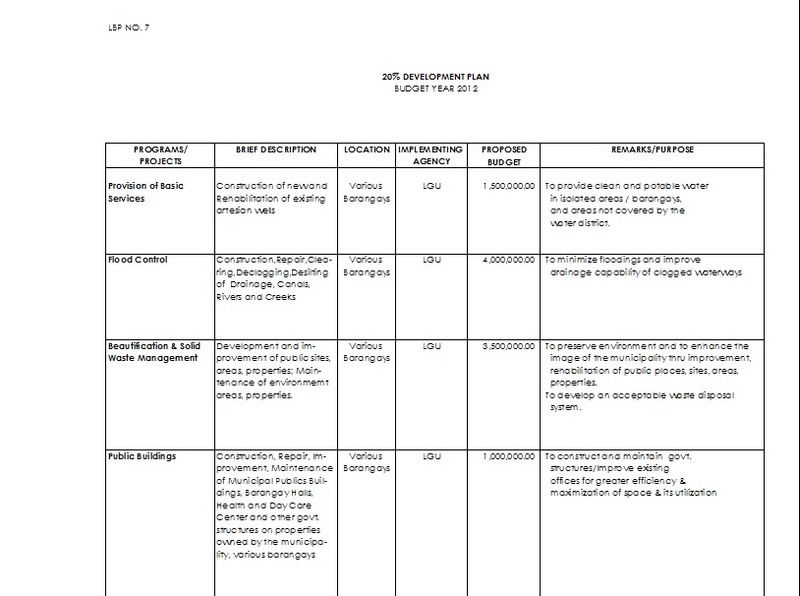 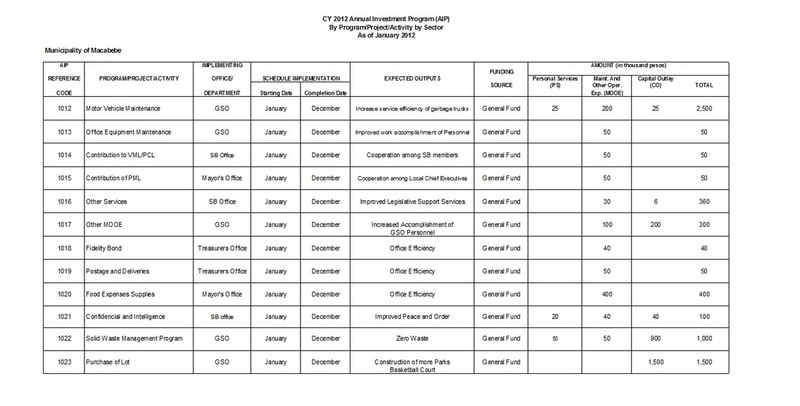 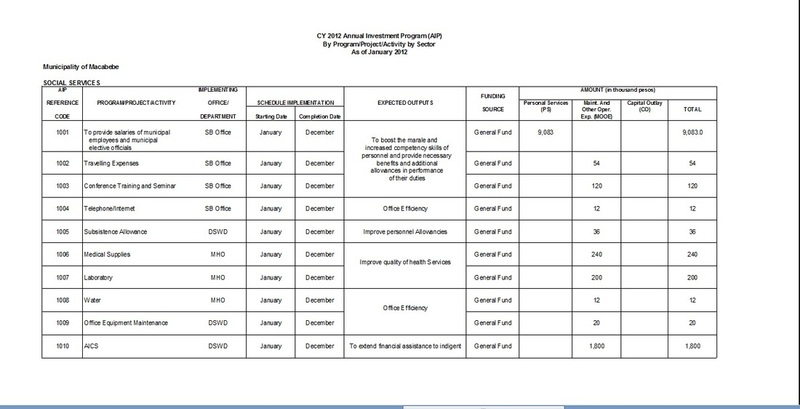 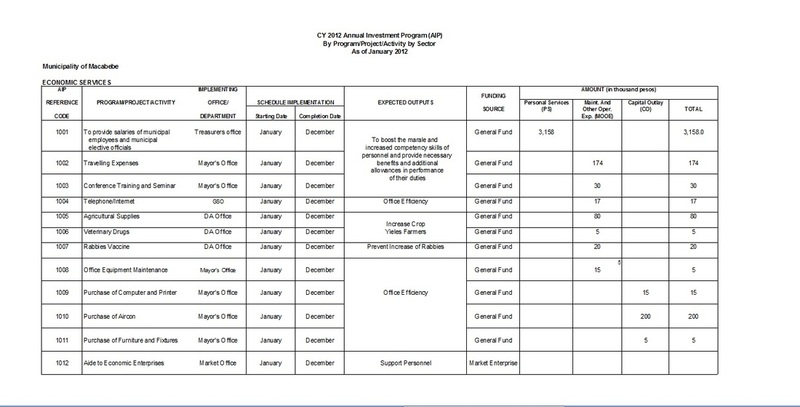 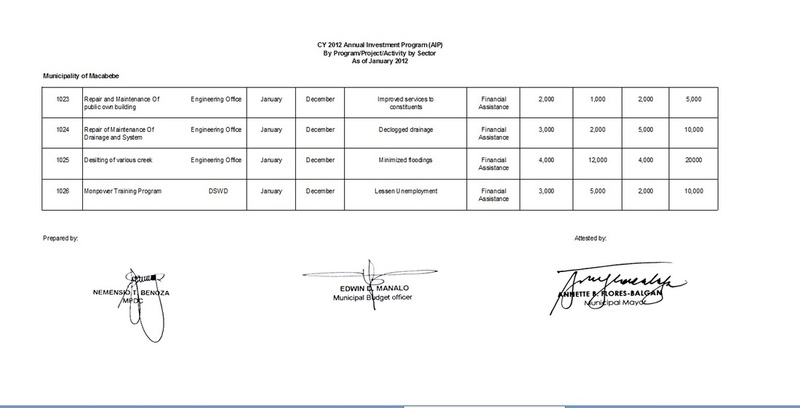 and Expenditures for CY 2012 here.